THE SPIRIT OF STUPOR , | Missing the point? Most Evangelical Christians believe real Christians do not drink Alcohol.. In reality too many professing Christians, Christian leaders still do FALSELY drink alcohol. Too many professing believers are being overcome EVEN by wine or numbness, sleep.and they thus falsely are no longer effective, useful for God. Don’t be misled even drunkenness is not a sin that God takes any more lighter than the sins of idolatry, prostitution adultery, fornication, lying, cheating, stealing, abusing others etc. 16 This I say then, Walk in the Spirit, and ye shall not fulfil the lust of the flesh. 17 For the flesh lusteth against the Spirit, and the Spirit against the flesh: and these are contrary the one to the other: so that ye cannot do the things that ye would. 18 But if ye be led of the Spirit, ye are not under the law. 19 Now the works of the flesh are manifest, which are these; Adultery, fornication, uncleanness, lasciviousness, 20 Idolatry, witchcraft, hatred, variance, emulations, wrath, strife, seditions, heresies, 21 Envyings, murders, drunkenness, revellings, and such like: of the which I tell you before, as I have also told you in time past, that they which do such things shall not inherit the kingdom of God. 22 But the fruit of the Spirit is love, joy, peace, longsuffering, gentleness, goodness, faith, 23 Meekness, temperance: against such there is no law. 24 And they that are Christ’s have crucified the flesh with the affections and lusts. 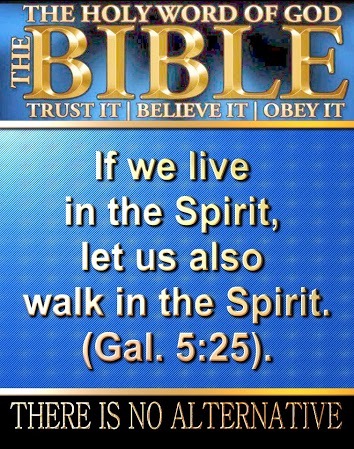 25 If we live in the Spirit, let us also walk in the Spirit. 26 Let us not be desirous of vain glory, provoking one another, envying one another. (Gal. 5:19-26). (Hab 2:15 KJV) Woe unto him that giveth his neighbour drink, that puttest thy bottle to him, and makest him drunken also, that thou mayest look on their nakedness! 16 Thou art filled with shame for glory: drink thou also, and let thy foreskin be uncovered: the cup of the LORD’S right hand shall be turned unto thee, and shameful spewing shall be on thy glory.17 For the violence of Lebanon shall cover thee, and the spoil of beasts, which made them afraid, because of men’s blood, and for the violence of the land, of the city, and of all that dwell therein. Apostle Paul was ALSO SERIOUSLY cone rend about drunkenness: SO he also issued a clear warning against drunkenness. (Eph 5:18 KJV) And be not drunk with wine, wherein is excess; but be filled with the Spirit; 19 Speaking to yourselves in psalms and hymns and spiritual songs, singing and making melody in your heart to the Lord; 20 Giving thanks always for all things unto God and the Father in the name of our Lord Jesus Christ; 21 Submitting yourselves one to another in the fear of God. (1 Sam 25:36 KJV) And Abigail came to Nabal; and, behold, he held a feast in his house, like the feast of a king; and Nabal’s heart was merry within him, for he was very drunken: wherefore she told him nothing, less or more, until the morning light. 37 But it came to pass in the morning, when the wine was gone out of Nabal, and his wife had told him these things, that his heart died within him, and he became as a stone. (Dan 5:23 KJV) But hast lifted up thyself against the Lord of heaven; and they have brought the vessels of his house before thee, and thou, and thy lords, thy wives, and thy concubines, have drunk wine in them; and thou hast praised the gods of silver, and gold, of brass, iron, wood, and stone, which see not, nor hear, nor know: and the God in whose hand thy breath is, and whose are all thy ways, hast thou not glorified: 24 Then was the part of the hand sent from him; and this writing was written. 25 And this is the writing that was written, MENE, MENE, TEKEL, UPHARSIN. 26 This is the interpretation of the thing: MENE; God hath numbered thy kingdom, and finished it. 27 TEKEL; Thou art weighed in the balances, and art found wanting. 28 PERES; Thy kingdom is divided, and given to the Medes and Persians. 29 Then commanded Belshazzar, and they clothed Daniel with scarlet, and put a chain of gold about his neck, and made a proclamation concerning him, that he should be the third ruler in the kingdom. 30 In that night was Belshazzar the king of the Chaldeans slain. (Isa 28:1 KJV) Woe to the crown of pride, to the drunkards of Ephraim, whose glorious beauty is a fading flower, which are on the head of the fat valleys of them that are overcome with wine! 2 Behold, the Lord hath a mighty and strong one, which as a tempest of hail and a destroying storm, as a flood of mighty waters overflowing, shall cast down to the earth with the hand. 3 The crown of pride, the drunkards of Ephraim, shall be trodden under feet: 4 And the glorious beauty, which is on the head of the fat valley, shall be a fading flower, and as the hasty fruit before the summer; which when he that looketh upon it seeth, while it is yet in his hand he eateth it up. Drunkenness of the spirit is like all of this but far worse. Isaiah 28 gives us a clear picture. Verses 1-4 graphically portray the delusion of a religion without God: proud leaders in religious trappings presiding over the drunken multitudes all blissfully unaware of their impending doom. This is a perfect picture of most many professing Christians too it seems. Where too many professed followers of Christ even have a form of godliness but there is no power. II Tim. 3-5. Not only is there a lack of power, but if God’s power were suddenly to be manifested, no effort would be spared to suppress it. Consider the reaction of the good orthodox, bible-believing religious folk of Jesus’ day. That is what is meant by “denying the power thereof.” ” There are sadly believers and Christian Churches today who are self satisfied, drunk with their own false self appraisal self worth, they see no reasons for themselves to repent, as they rather falsely consider themselves as having already reached a spiritual pinnacle, they falsely do think that are clearly spiritual even above all of the other believers.. their false pride here too comes before their fall. Reality: The (spiritual) wine that keeps man in such a stupified condition is still the spirit of Satan expressed in their false religious doctrines and ideas. Demons have learned their craft over thousands of years of leading men astray. Thus does Babylon become “the habitation of devils, and the hold of every foul spirit and the cage of every hateful bird. For all nations have drunk of the wine of the wrath of her fornication.” Rev. 18:2.This wine fixes him up with a delusion that all is well when it is not. The delusion exists in the minds of men who embrace religious falsehoods.The outwardly Religious man does not merely lack the true light; he also now still will hate and despise the true light of theFull Gopsel of Jesus Christ light and seek at all costs to suppress and destroy it. And not only do they drink in the devil’s falsehood itself – that would be bad enough – but the authors of that the falsehood do now also come in to live in them as well – demon spirits long schooled in the art of deception. Rom. 1:18-32 now fully shows the connection between the wrath of God and the state of drunkness, delusion. “Wrath” involves turning man over to the darkness he loves to reap its fearful consequences. Jeremiah 51 is a remarkable parallel to Rev. 17 and 18. In verse 7 we read, “Babylon hath been a golden cup in the Lord’s hand that made all the earth drunken.” We clearly see that although the devil brings this delusive wine, BUT the Lord sends it as the first step in judgment and destruction. “Woe unto you, scribes and Pharisees, Hypocrites! for ye make clean the outside of the cup and of the platter, but they are full of extortion and excess.” Matt. 23:25. This condition of drunkenness that prevails OVER SO MANY NOW prevails in many real Christians in varying degrees as well as the lost. That was why Apostle Paul exhorts believers to “be sober”? Not every one gives in to these demonic wines..or the spirit of sleep..
(Jer 35:5 KJV) And I set before the sons of the house of the Rechabites pots full of wine, and cups, and I said unto them, Drink ye wine. 6 But they said, We will drink no wine: for Jonadab the son of Rechab our father commanded us, saying, Ye shall drink no wine, neither ye, nor your sons for ever: 7 Neither shall ye build house, nor sow seed, nor plant vineyard, nor have any: but all your days ye shall dwell in tents; that ye may live many days in the land where ye be strangers. 8 Thus have we obeyed the voice of Jonadab the son of Rechab our father in all that he hath charged us, to drink no wine all our days, we, our wives, our sons, nor our daughters; 9 Nor to build houses for us to dwell in: neither have we vineyard, nor field, nor seed: 10 But we have dwelt in tents, and have obeyed, and done according to all that Jonadab our father commanded us. (Jer 35:13 KJV) Thus saith the LORD of hosts, the God of Israel; Go and tell the men of Judah and the inhabitants of Jerusalem, Will ye not receive instruction to hearken to my words? saith the LORD. 14 The words of Jonadab the son of Rechab, that he commanded his sons not to drink wine, are performed; for unto this day they drink none, but obey their father’s commandment: notwithstanding I have spoken unto you, rising early and speaking; but ye hearkened not unto me. 15 I have sent also unto you all my servants the prophets, rising up early and sending them, saying, Return ye now every man from his evil way, and amend your doings, and go not after other gods to serve them, and ye shall dwell in the land which I have given to you and to your fathers: but ye have not inclined your ear, nor hearkened unto me. 16 Because the sons of Jonadab the son of Rechab have performed the commandment of their father, which he commanded them; but this people hath not hearkened unto me: 17 Therefore thus saith the LORD God of hosts, the God of Israel; Behold, I will bring upon Judah and upon all the inhabitants of Jerusalem all the evil that I have pronounced against them: because I have spoken unto them, but they have not heard; and I have called unto them, but they have not answered. 18 And Jeremiah said unto the house of the Rechabites, Thus saith the LORD of hosts, the God of Israel; Because ye have obeyed the commandment of Jonadab your father, and kept all his precepts, and done according unto all that he hath commanded you: 19 Therefore thus saith the LORD of hosts, the God of Israel; Jonadab the son of Rechab shall not want a man to stand before me for ever. Romans 1311 And that, knowing the time, that now it is high time to awake out of sleep: for now is our salvation nearer than when we believed. So ((Col 2:8 KJV) Beware lest any man spoil you through philosophy and vain deceit, after the tradition of men, after the rudiments of the world, and not after Christ. 9 For in him dwelleth all the fulness of the Godhead bodily. 10 And ye are complete in him, which is the head of all principality and power: ). Yes there have been many real believers who have been confused, abused, scattered and who could certainly be characterized as having now been lost, backslidden, out of the way. Like Lot who pitched his tent toward Sodom and barely escaped with his life they are in no position to be profitable to God in his Kingdom. “Out of the way.”?. Only through a steady diet of God’s anointed truth can we escape the stupor and vomit brought on by the wine. And God’s anointed truth itself will have no effect on one who refuses to see his need and desire it from the heart. (2 Th 2:15 KJV) Therefore, brethren, stand fast, and hold the traditions which ye have been taught, whether by word, or our epistle. For escaping the wine always involves leaving the company, places and even the churches where it prevails. The word is clear: “Come out of her my people, that ye be not partakers of her sins, and that ye receive not of her plagues.” Rev. 18:4. Too many even Christians are asleep, or drunk, or both but the true Christians are not. . Consider the warning in Matt. 24:48-51 against carelessness and even the warnings of Christ’s impending coming. yet Half of the sleeping virgins had no oil. They even were unaware of their lack until it was too late. And DON’T FORGET There is still also the great final judgment even for all including the unforgiven, unrepentant wicked persons who continued to refuse God’s way, even Christ’s Salvation. “But the fearful, and unbelieving, and the abominable, and murderers, and whoremongers, and sorcerers, and idolaters, and all liars, shall have their part in the lake which burneth with fire and brimstone: which is the second death.” Rev. 21:1-8.